It can be difficult for many consumers to get motivated to exercise, but results from two new studies might have more people getting up and moving. According to the researchers from these studies, exercise is the key to a longer life. In the first study, the researchers advocate for incorporating more motion into day-to-day life -- taking the stairs, walking more, etc. -- whereas the second study encourages consumers to build muscle power -- not strength -- to live longer. The biggest takeaway from both of these studies is that spending hours at the gym every day is not necessary to get the best health results. Instead, being more active and working on things like climbing stairs and walking when possible can really make the difference, particularly where lifespan is concerned. In the first study, the researchers evaluated how moving more during regular, day-to-day tasks, as opposed to going to the gym, can improve overall physical fitness and add years to consumers’ lives. 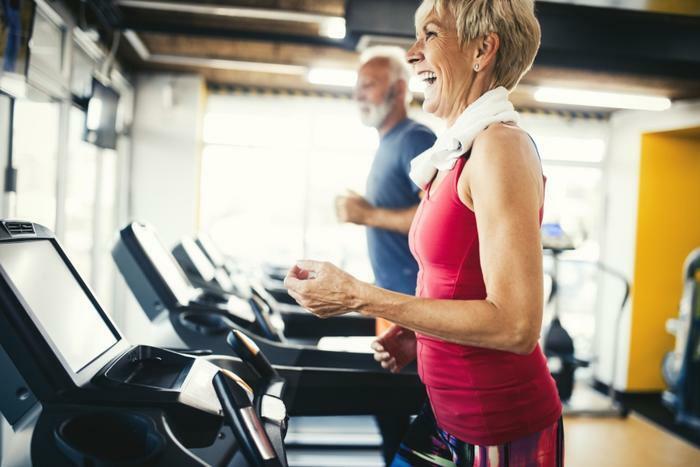 The research included over 316,000 adults ranging in age from 18 through 74, and the researchers found that improving cardiorespiratory fitness decreased the participants’ risk of death or a cardiovascular episode. The researchers measured participants overall physical fitness and had each person complete a submaximal cycle test to determine how much oxygen the muscles get during exercise. The results held up over all of the age groups and between men and women, regardless of how they performed during the fitness test, proving that incorporating simple activities on a daily basis are just as important to consumers’ health. In a study that yielded very similar results, researchers found that muscle power -- not muscle strength -- can add more years onto consumers’ lives. Using the upright row exercise on the study’s nearly 4,000 participants between the ages of 41 and 85, the researchers were able to have participants mimic the motion of activities they do regularly, like picking up small children or lifting grocery bags. The study revealed that maintaining muscle power, which consumers can do by increasing speed during weight lifting sessions or while climbing stairs, gave participants the best shot at longer lives. The researchers explained that many exercise regimens -- and similar studies -- often focus on the ability to lift or move heavy objects, but none really focus on muscle’s power -- the ability to complete physical activities faster. The researchers provided tips for consumers to put into practice to not only start increasing their muscle power, but also how to progress once they feel comfortable with the exercises, which can be found by clicking here. Many consumers feel they don’t have the time or energy to commit to the gym, and many new studies have explored how they can feel the health benefits of working out on a limited schedule. One study found that short bursts of stair-climbing can boost health, while incorporating high-intensity interval training into a daily routine can provide serious health benefits. Researchers have also found that exercise is imperative for our physical fitness, but can also improve thinking skills. Running for cover: Being healthy's one thing but should you hand over personal data for cheaper life insurance? Experts: Exercise Will Actually Make Your Cells Younger and Life Longer Posted by Erin Elizabeth | Jul 28, 2017 Aging is an inevitable fact of life, and considering the alternative, it is viewed with much more disdain than it really deserves. According to the researchers from these studies, exercise is the key to a longer life. In the first study, the researchers advocate for incorporating more motion into day-to-day life — taking the stairs, walking more, etc. — whereas the second study encourages consumers to build muscle power — not strength — to live longer.